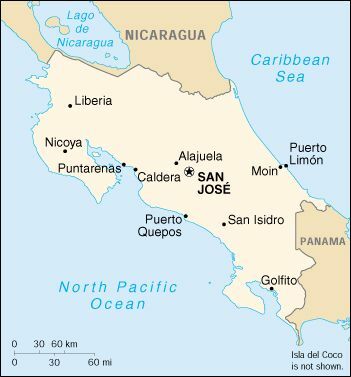 Costa Rica is a Central American success story: since the late 19th century, only two brief periods of violence have marred its democratic development. Although still a largely agricultural country, it has achieved a relatively high standard of living. Land ownership is widespread. Tourism is a rapidly expanding industry. At present there are 8 hospitals performing cardiac surgery in Costa Rica (Social Security-3; pediatric-2;and private-3). 16 cardiac surgeons perform about 1,000 open heart operations per year.